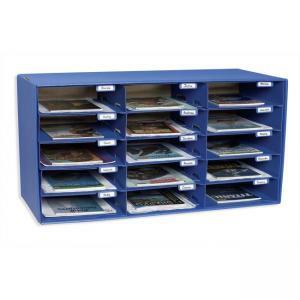 Classroom mail box is easy to assemble. The slots are designed to hold a variety of materials. 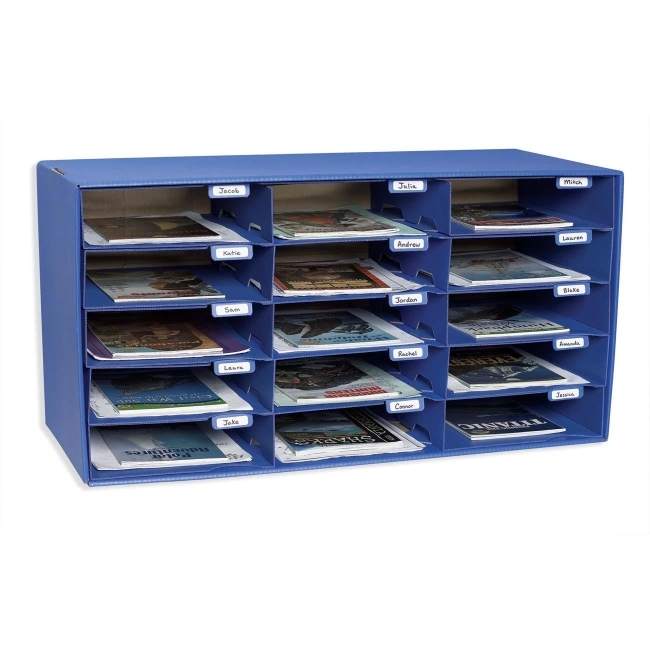 Classroom mail box provides a place for individual name tabs for each slot. Mix and match with other mail boxes to get the right number for your class size.